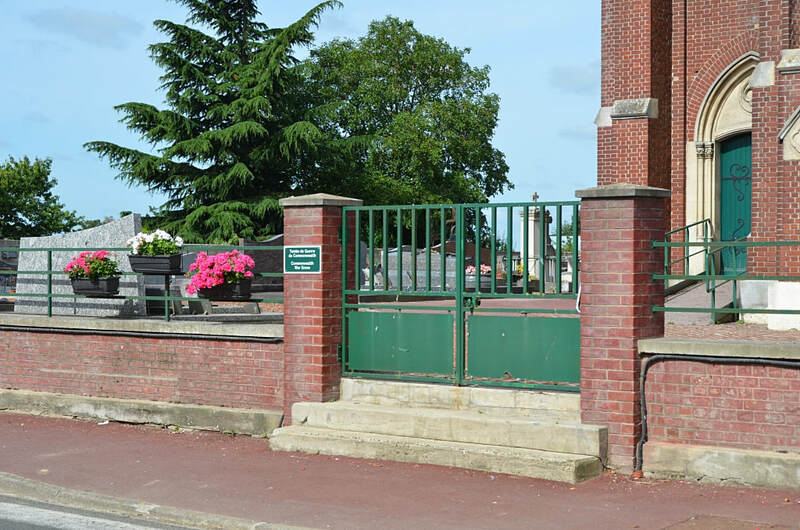 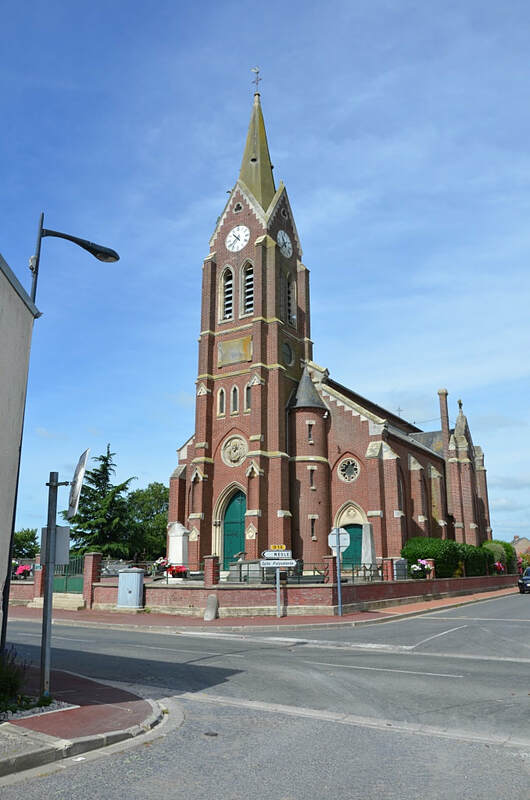 Mesnil-St. Nicaise is a village and commune in the Department of the Somme, between Nesle and Pargny. 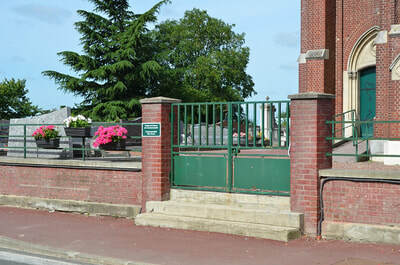 In the Churchyard of the ruined Church the burial will be found near the North-West corner. 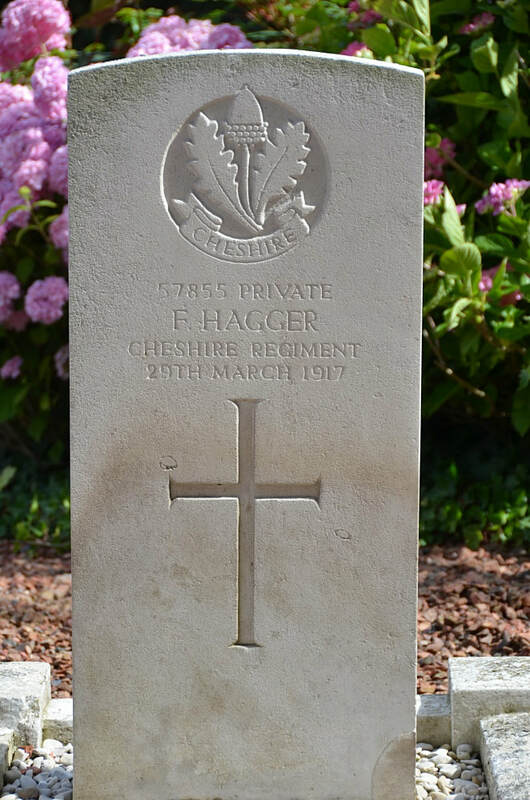 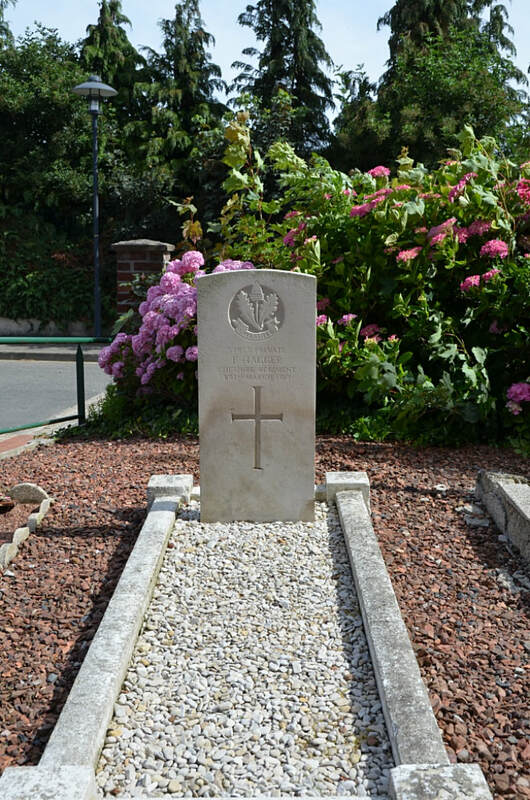 57855 Private F. Hagger, 16th Bn. Cheshire Regiment, died 29th March 1917.